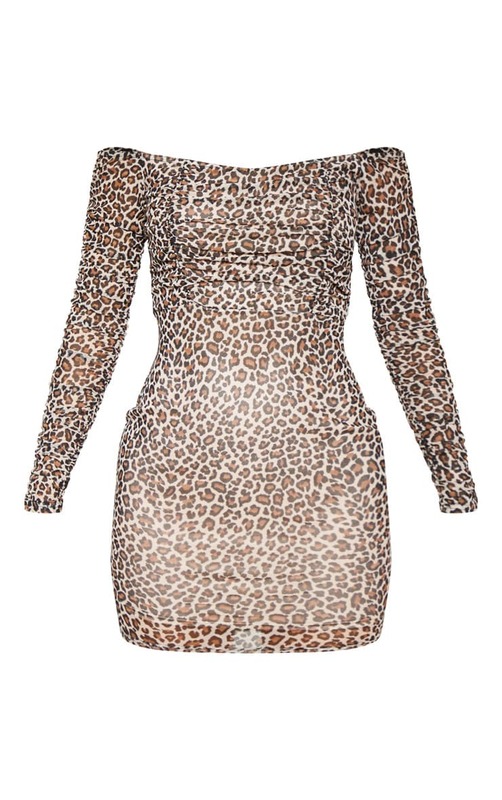 We are obsessing over all things animal print right now and this bodycon dress is a serious wardrobe staple. Featuring a brown leopard print fabric with ruched mesh detail, flattering bardot neckline and bodycon fit, what's not to love? Style with strappy heels and statement accessories for a look we're loving.